Last Saturday evening, at around 9:58 pm, a white van veered off the road and onto the sidewalk of London Bridge, in the heart of the English capital, ploughing into pedestrians. The van kept going until it crashed near the Barrowboy and Banker pub at the end of the bridge, where three attackers with long knives jumped out, ran into Borough Market and randomly stabbed and slashed multiple people in pubs and restaurants. Seven people died in these attacks, and at least 48 people were taken to local hospitals, 21 of them in a critical condition. At the time of writing, one person is missing. If the three men responsible for these atrocities thought they were going to stir fear into the hearts of Londoners however, they were wrong. The people of London responded with courage, heroism and resilience. 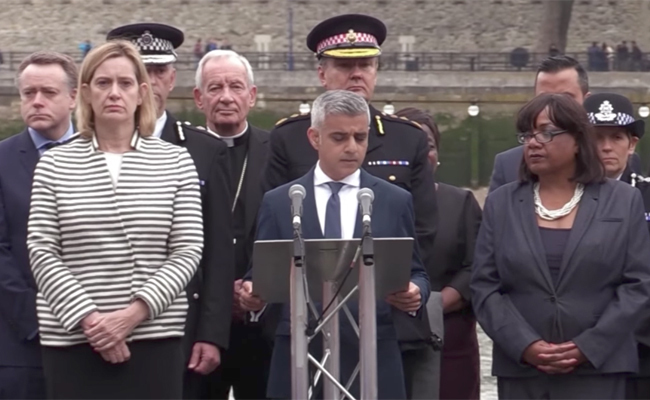 Here are just five heroes of the London Bridge attacks. It took the Metropolitan Police just eight minutes to get to the scene of the mass stabbings and stop the terrorists responsible. Undoubtedly, there would have been many more deaths if the police had not been able to respond so rapidly. Florin Morariu works at Borough Market’s Ahead bakery. On Saturday evening, seeing a group of clearly upset women standing outside the bakery, he invited them in and learned that there were three men outside stabbing people. He immediately grabbed two crates and ran outside. “I felt pity for the victims, I didn’t know how to handle things or react. I thought to myself I’m also in danger.” That didn’t stop Morariu however. “I just threw the crate at (one of the attackers. ),” he said. Many of the wounded have not been named so far, but we have learned that an off-duty policeman, who is an amateur rugby player, was so courageous that he threw himself at one of the attackers in an attempt to stop the man. 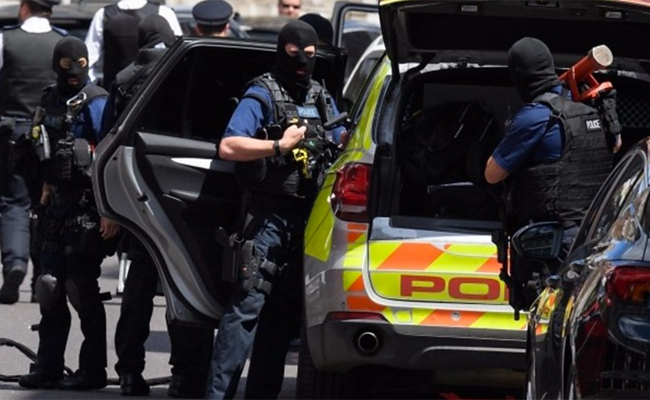 As a result, the policeman was stabbed and is in critical condition in a London hospital. Carlos Pinto was with friends at the El Pastor restaurant when one of the attackers entered and stabbed a woman in the chest. At once Pinto, who is a critical care nurse, along with a friend, also a nurse, ran over to do what he could for the woman. At the same time, other diners succeeded in pushing the attacker out of El Pastor by throwing chairs and bottles at him. With the attacker outside, the restaurant staff quickly secured the building by lowering a security gate. It took more than two hours before the paramedics could get through to take the woman to the hospital, but thanks to Pinto and his friend, she never lost consciousness. Dr. Malik Ramadhan, the duty consultant for the Accident and Emergency Unit at the Royal London Hospital, was riding home on his bike on Saturday evening when he saw a fleet of emergency vehicles rushing towards the London Bridge area. Realizing something was wrong, he turned around and sped back to work. He devoted the rest of the night to operating on 12 of the badly injured victims of these attacks. As someone who grew up near London before moving to the U.S. several years ago, I am so proud of all these heroes who acted with such courage. Photo Credit: Screenshot from YouTube video.